We cannot know yet what a Ned Lamont administration will be like. Fate is always a work in progress. But it seems a reasonable assumption that there will be Democrat Party continuity between the Malloy and Lamont administrations; both Lamont and Malloy are progressive Democrats. Lamont did stress during his campaign that he had run for governor against Malloy, but this was largely a feint for show. Nothing in the Lamont campaign suggests a policy break with Malloy. 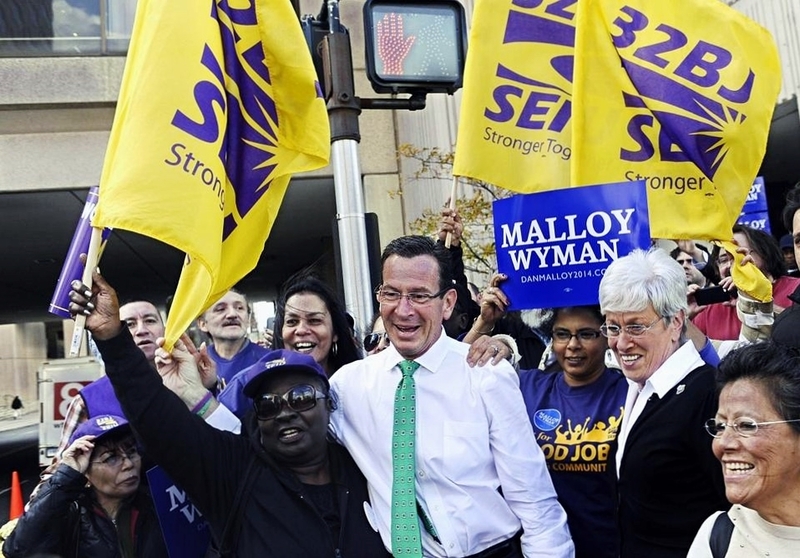 Moreover, the election results have returned Connecticut to the status quo ante as it existed during Malloy’s first campaign. Republicans had made some inroads to power during the Malloy administration. Prior to the November elections – a stunning victory for the majority party in Connecticut -- Republicans were at parity with Democrats in the Senate and trailing them by a few seats in the House. The election washed out these gains. Christmas is approaching, not the discordant commercial enterprise we see all around us at this time of year, but the real Christmas – a celebration of the birth of Jesus Christ, the sovereign lord of the Christian heart. Atheists, those who do not believe in God or religion, have been in the habit of seizing the occasion to celebrate an obverse Christmas by spreading ashes on the joys of the Christian heart and obliterating the season through the application of free and equal graffiti. 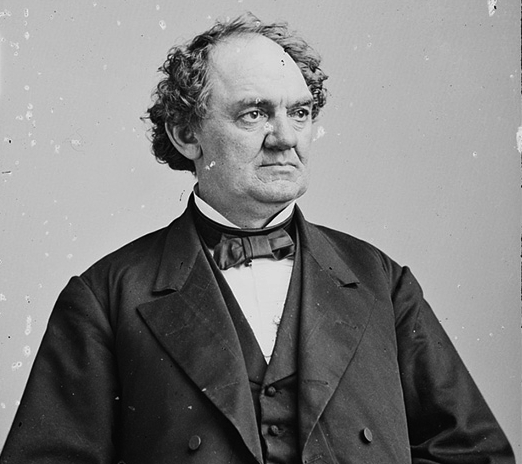 In Bethel, Connecticut, atheists are especially interested this year in ridding the town’s P. T. Barnum Square of its nativity scene. 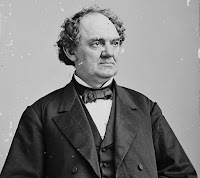 For the benefit of those atheists who do not always follow the niceties of Christianity, it should be noted that the bones of Barnum’s family are buried in the quiet graveyard abutting the Congressional church not a stone’s throw from Barnum Square., and the name "Bethel" means "the house of God." The atheists have not yet been so bold as to petition the town to change its name. Q: I have lots of questions. A: I’m sure I do not have lots of answers. Q: I’ll ask the questions anyway. A: You always were persistent, an indispensable virtue among good reporters. Q: You were a reporter once, right?. A: No, a columnist. Reporters dig up the truffles, columnists make use of them in their pâtés. Q: When did you start publishing Connecticut Commentary? 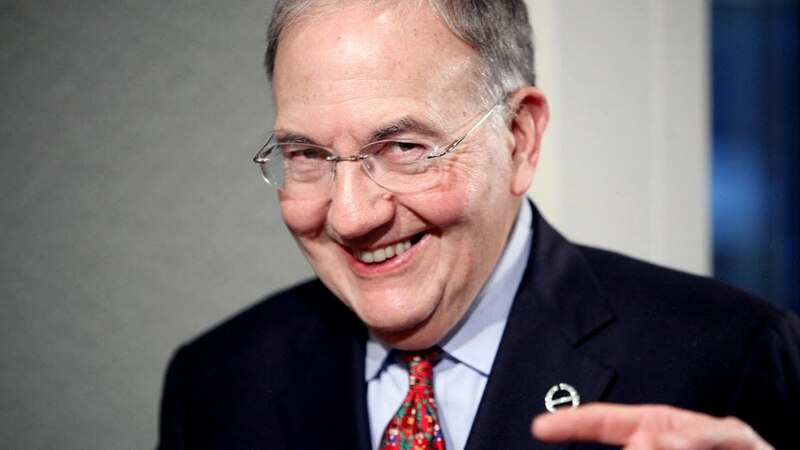 A: About 2004, thirteen years after then Governor Lowell Weicker destroyed the character of Connecticut, once a magnet for companies seeking to escape the withering hand of autocratic government, by instituting his ill-advised income tax. Antifa: The Progressive Party in action. Autocrat: A member in good standing of the reigning power. Bipartisanship: A political ploy. Political parties that have been deposed by voters cling to demands for bipartisanship with all the fervor of a drowning sailor grasping at a straw. Border: A largely irrelevant demarcation line on a map indicating the presence of a largely irrelevant nation. Hey, working suburban women who voted for the toll guy for governor -- get out your wallets. Multiple reports in Connecticut’s media advise us that Lamont eked out a win over Republican Gubernatorial nominee Bob Stefanowski with some encouragement from suburban women, many of whom hold down jobs to which they travel – by car, not by largely empty FastTrack windmill powered busses. 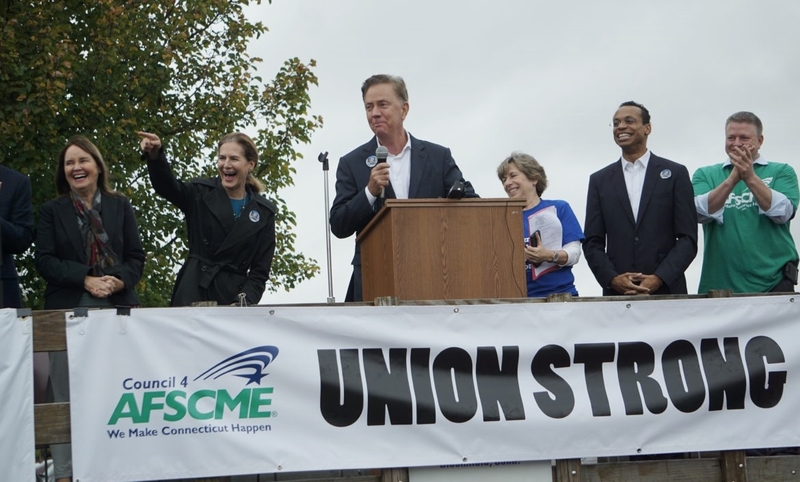 During his gubernatorial campaign, Governor Elect Ned Lamont was warm on tolls – but the tolls, working suburban women and others were told, would be levied only on out-of-state trucks, a dubious constitutional gambit. Rhode Island, the state from which Lamont lifted the idea, is now embroiled in law suits. A little more than a week after the election, it was reported by the indispensable Yankee Institute that a new CTDOT Study Calls for 82 Tolling Gantries on Connecticut Highways. A note provided on a map furnished by the Connecticut Department of Transportation commissioned study reads, comfortingly, “Locations are for preliminary planning purposes only.” The mapped major transportation arteries are pock-marked with red dots, gantry locations, that make the state look as if it had come down with an advanced case of measles. 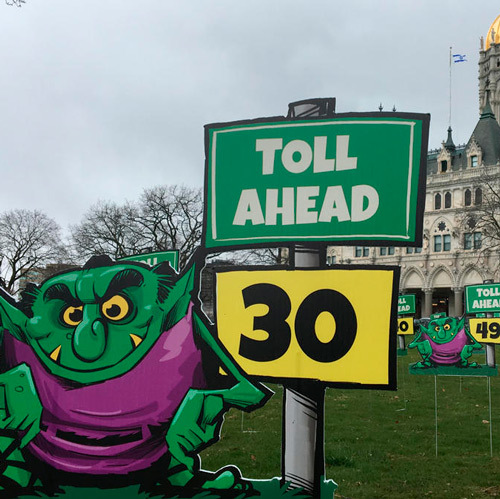 In a somewhat sour note, the study remarks that “fairness” in toll collections should be paramount: “Fairness – tolls should be set to ensure collection of revenues from CT as well as out-of-state auto and truck trips.” But fairness, Connecticut’s taxpayers will understand lies, like beauty and truth, in the eye of the beholder. Who benefits by the Democrat sweep in the recently concluded elections? The obvious answer is – Democrats. They won, didn’t they? What have they won? The Democrats have floated to the top in a state that is sinking to the bottom. 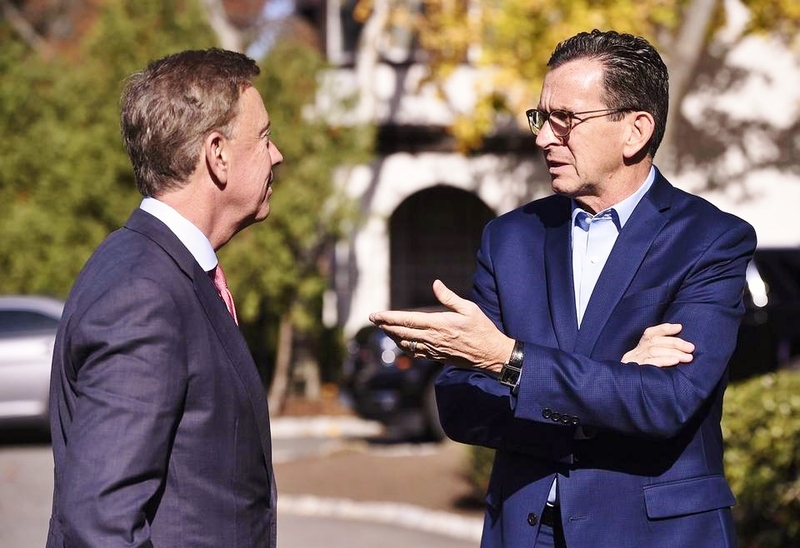 Even prominent Connecticut Democrats agree that the stewardship of out-going Governor Dannel Malloy and – very important – a hegemonic Democrat power base in the General Assembly has left the state in a precarious position. There really is no need to sound the death knell here. All the lurid figures have been paraded often enough before voters: We are among the highest taxed state in the nation; we are leeching entrepreneurs and entrepreneurial capital to neighboring states, not to mention southern economic powerhouse states; we can no longer balance our budgets because state labor costs will always exceed on-hand revenue -- unless long-term labor costs are permanently reduced, and this cannot be done because the party in power in the General Assembly for more than thirty years is tied politically to the apron strings of powerful state employee unions. After lunch, Governor Dannel Malloy and Governor-Elect Ned Lamont have a “frank and honest” conversation with each other. Throughout, Malloy – approval rating 15 -- appears to be carefree, strangely excited. The burden of governing has been lifted from his shoulders. When his term ends, he will kick the dust of Connecticut from his feet, move to Massachusetts and teach courses at his old alma mater. Lamont is restrained, his characteristic ebullience gone, now that he faces the reality of governing a state in the dumps. Malloy: … reason to be depressed. According to one analysis, your margin of victory in the race was larger even than mine during my first campaign. Imagine that. You have in your corner the large cities, most of the state’s media and – big surprise – portions of the state that have always gone Republican. Right now, you are very well positioned. 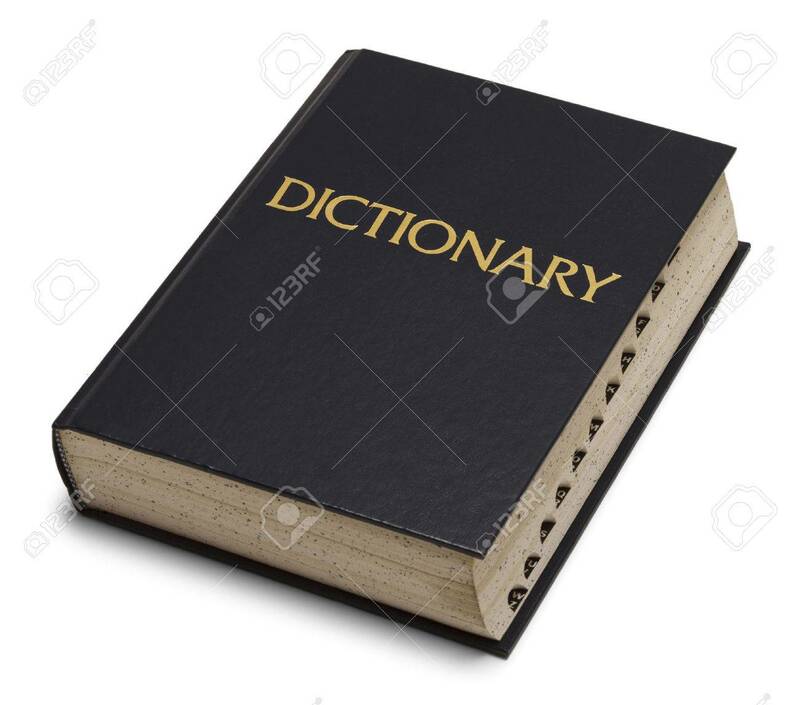 You have the General Assembly laying like a cat in your lap, purring. Why, President Pro Tem of the Senate Martin Looney can hardly contain himself. 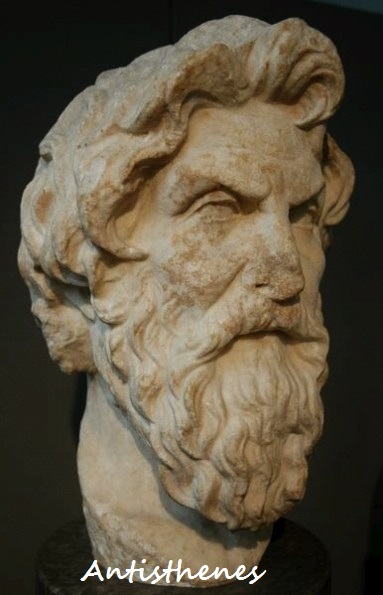 He no longer will have to deal with Themis Klarides or Len Fasano; tough customers, those two. You can do whatever you want. It’s 2011 all over again. Be happy. It’s all over, but for the gnashing of teeth and the weeping of tears. The banner headlines on Tom Dudchik’s Capitol Report pretty much said it all on the day after Connecticut voters went to the polls and turned back the clock to out-going Governor Dannel Malloy’s first election win eight long years ago.